Pam and Sheila were students at a large state university that had math and foreign language requirements. Pam was strong in languages, but lousy in math; Sheila had the opposite abilities. The two struck a deal: Pam would pose as Sheila in Sheila’s Spanish class, and Sheila would pose as Pam in Pam’s calculus class. For an entire semester, each attended the other’s specific class, answered to the other’s name, and took exams on behalf of the other. The university was so large that neither the professors nor the students in those courses knew the conspirators’ true identities. The ruse worked and they got A’s on their permanent records for the courses. This is probably the most extreme a case of cheating that could exist. 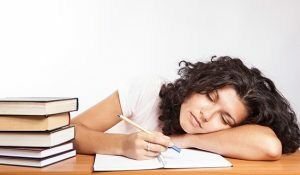 It was not a matter of copying some answers from a neighbor’s test, or plagiarizing a term paper. Instead, every single requirement for both courses was fulfilled fraudulently, and neither Pam nor Sheila learned a single thing in the classes they were ducking. The risk they were taking was enormous, for, if caught, they would have been permanently expelled from their university. That, though, did not matter to either of them. There are opportunities for dishonesty in most facets of our lives: in games, on taxes, with business associates, with spouses. In all of these cases people break the rules for some personal gain. A stream of recent studies has shown that deceit is not only an integral part of human nature, but most of us routinely lie far more than we’d ever imagine: 90% of us lie at least once a day. One psychologist writes, “Lying is universal; it coexists side by side with the truth. In one way or another, lying is used daily in our social interactions” (George Serban, Lying, 2001). Most disturbing is a study showing that 60% of people lie about three times in a normal 10 minute conversation. Some are small lies, but others are enormous, such as a young man in the study who claimed to be in a rock band and have a recording contract when he did not even play an instrument. Some psychologists distinguish between deviant and normal lies. Deviant ones are condemned by society because they undermine the trust that enables societies to function, such as lying on the witness stand. Normal lies, though, are ones that we accept because of their productive social outcomes. You ask “How are you doing today?” to which I answer “Quite well, thank you!” even though it’s the worst day of my life. You ask “How do you like my hair cut?” to which I answer “It looks great!” even though your hair would frighten away a flock of birds. German philosopher Immanuel Kant (1724–1804) believed that we have a clear moral responsibility to be truthful. For Kant, our human reason makes moral demands on our lives. If we think rationally about how we should behave, then we will immediately see that some kinds of actions are unreasonable. Dishonesty in all of its forms, he argues, is fundamentally unreasonable. Many philosophers before Kant also said that morality is linked with the rational part of human nature. But Kant goes a step further and formulates a supreme rational principle that tells us precisely whether a specific action is right or wrong. He calls this principle the categorical imperative: Act only on that maxim by which you can at the same time will that it should become a universal law. According to the categorical imperative, it is wrong for me to be deceitful since I could not reasonably want everyone to act in that way. He explains this with the example of breaking one’s promise: “if no man were to keep his promise. . . . [then] promises would in the long run become useless.” So, it is unreasonable for me to wish this fate on humanity. 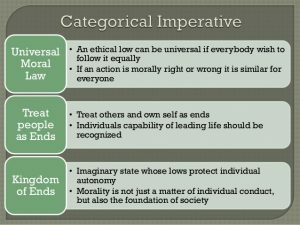 If the categorical imperative succeeds as a true test of moral conduct, then it is the most important contribution to moral philosophy ever. All moral controversies would be quickly resolved, and no one could claim ignorance about their moral obligations. But does it succeed? In this chapter we will look at Kant’s account of the categorical imperative and discuss some of its problems. 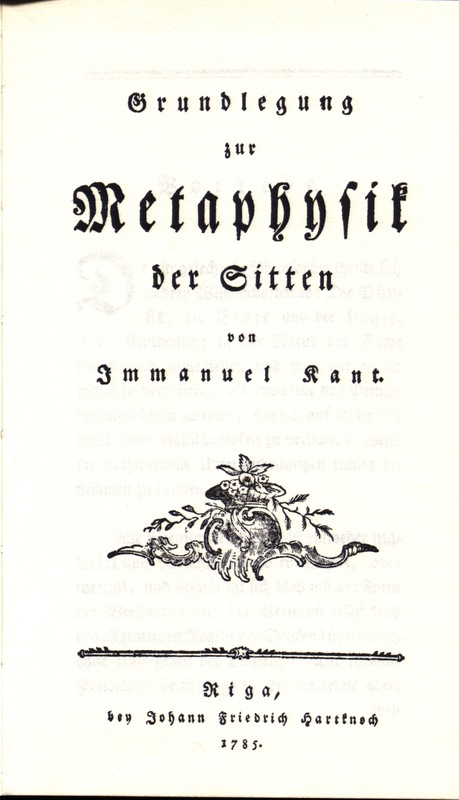 Kant presents his moral theory in three principal books, published in the final two decades of his life: The Foundations of the Metaphysics of Morals (1785), The Critique of Practical Reason (1788), and The Metaphysics of Morals (1797). The first of these, the Foundations, is the most influential, and our discussion of Kant’s categorical imperative will come mainly from this. To understand why Kant devised the categorical imperative as he did, it will help to look at his influences. It often takes detective work to discover the principal influences on major philosophers. Scholars might investigate where a great philosopher was educated and what texts were used in that school. They might comb through the philosopher’s personal correspondence to find references to books that he read. They might also discover the contents of a philosopher’s personal library by locating records of estate sales after his death. In Kant’s case, the task of discovering his influences is easy. Kant was born in Konigsberg, a Prussian city of about 70,000 people. He attended the University of Konigsberg and later held teaching posts there for forty years. In his writings as both a teacher and scholar, Kant left a clear paper trail indicating various influences on his philosophy. 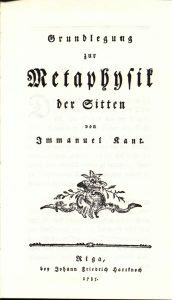 From the beginning of his university teaching career, Kant offered a course in ethics, and the contents of his lectures were eventually transcribed by some of his students. From these lectures, we know that Kant assigned two standard ethics textbooks written by German philosopher Alexander Baumgarten (1715–1762). Baumgarten’s texts discuss in detail the various moral duties that we have to God, ourselves, and others. For example, we have duties to believe in and pray to God, to develop our own intellectual abilities, to be benevolent to others. 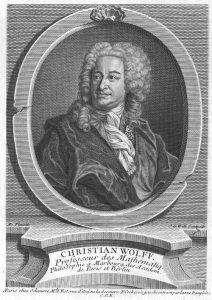 Eighteenth-century moral philosophers commonly offered similar lists of duties to God, oneself, and others—an approach that was formalized a century earlier by Samuel von Pufendorf (1632–1694). 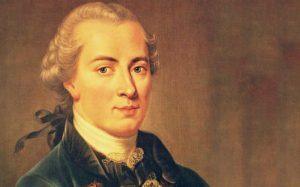 Influenced by Baumgarten and this tradition, Kant also believed that the task of morality is to inform us of our various duties—specifically, duties to ourselves and others. Kant continues by noting that we hear authoritarian commands all the time: “The taxman says ‘do not argue, pay!’ The pastor says ‘do not argue, believe!’” (ibid). But Kant counters that we should argue and follow our reason. Kant may have followed Baumgarten and Wolff to some extent, but there were others whom he completely rejected. In his ethics lectures, he lists several philosophers who ground morality on emotions or feelings. For example, ancient Greek philosopher Epicurus (341–270 BCE) stressed that morality involves satisfying our senses and gaining selfish fulfillment. British philosopher Francis Hutcheson (1694–1747) believed that an internal moral feeling distinguishes between right and wrong conduct. Kant rejects these theories because they depend too much on the accidental makeup of human physiology, and on the particular circumstances that trigger emotional responses within us. Instead, Kant argues that morality is grounded in our reason, which is stable and universal. The aim of Kant’s book The Foundations of the Metaphysics of Morals is, in his words, “to seek out and establish this supreme principle of morality”—that is, to explain the origin and function of the categorical imperative. Before presenting the categorical imperative, though, Kant says some things about human psychology and explains how the categorical imperative fits into the moral decision-making process. We all recognize that morality involves choices between different courses of action. If I see an accident victim alongside the road, I can choose to either help that person or not. To understand morality, then, I need to understand the factors that influence my will when making decisions. Philosophers of the 18th century commonly viewed the human will as something like a switch that turned on and off specific actions. We have countless motives that incline us toward various actions. For example, my motive of thirst inclines me to act out by getting a drink. My motive of greed inclines me to act out by accumulating money and possessions. My motive of sympathy inclines me to act out by helping people. The function of the will is to select a specific motive and thereby switch on a specific action. Kant similarly believes that various motives tug at our human will, prompting us to act in different ways. For Kant, motives fall into one of two classes: (1) selfish inclinations and (2) rational obligations. Unfortunately, most of our motives are of the selfish variety, and as long as we willfully select these motives, then our actions will never be truly moral. This is so even if I perform an action that appears to be morally proper. Suppose, for example, that I help an accident victim because I hope to get a reward. My motive in this case is selfish, so my act is not truly moral. Kant believes that morally pure motives must be rational considerations, which are universal and not personal or selfish. Specifically, the motive must be a rationally informed duty toward the categorical imperative. Let’s look more closely at Kant’s reasoning here. If you want to be a lawyer, then you must go to law school. You must help others in need. Although both of these statements are imperatives in the sense that they command us to perform some action, only the second is a moral imperative. The first is a hypothetical imperative in the sense that the commanded action (go to law school) applies to you only if you have a particular desire (to be a lawyer). Hypothetical imperatives will always be of the form “If you want some thing, then you must do some act.” Since all people will not want the same things, hypothetical imperatives lack the element of necessity, and so are not truly moral commands. They are instead rules of personal preference. By contrast, the second imperative does not depend on whether you have some desire. Instead, it simply mandates, “You must do some act.” This is the form that our moral obligations take when they arise from the categorical imperative. Act only on that maxim by which you can at the same time will that it should become a universal law. 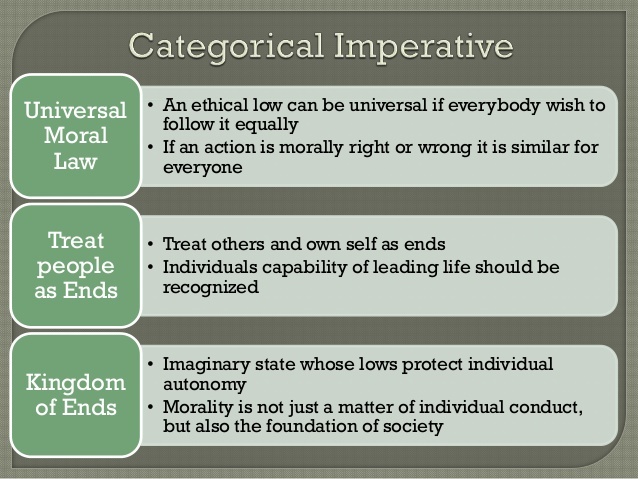 The categorical imperative offers us a step-by-step procedure for determining the moral status of particular actions. First, I take a specific action, such as stealing my neighbor’s lawnmower. Second, I see what the guiding principle or “maxim” is behind the action, such as “I will steal my neighbor’s lawnmower to gain material wealth.” Third, I reflect on what that maxim would be like if it were a universal rule that everyone followed, such as “Everyone may steal his or her neighbor’s lawnmower to gain material wealth.” Fourth, if the universal rule is reasonable, then I accept the action as moral; if unreasonable, I reject the action as immoral. It is almost like asking “What would happen if everyone did this?” However, we do not want to consider what happens regarding our selfish inclinations, such as whether a universal rule would make me happy or not. Instead, we only want to look at what happens in our reasoning process as we think about a universal rule. Kant has a specific notion of reason in mind, with specific indicators about when a rule is rational or irrational. Kant gives four specialized formulations of the categorical imperative that reflect different facets of human rationality. The first and most famous formulation is sometimes called the Formula of the Law of Nature: “Act as if the maxim of your action were to become through your will a universal law of nature.” The wording of this is very close to that of the original statement of the categorical imperative. However, as Kant explains, the distinguishing feature here is that we consider whether our maxim could function as a law of nature—and specifically, whether it is free from contradiction. Suppose I tell you that gravity will make the rock in my right hand fall to the ground and will at the same time make the rock in my left hand hover in mid-air. You will think that this is impossible since laws of nature cannot be inconsistent like this. Similarly, this formula of the categorical imperative instructs us to search for a contradiction within a universalized maxim. To illustrate, Kant gives four examples that he thinks represent our main types of moral duties. The clearest of the four examples is this: Suppose I borrow money from you promising to return it later, but I know full well that I will not return it. The intended maxim or guiding principle behind my action is this: “Whenever I believe myself short of money, I will borrow money and promise to pay it back, though I know that this will never be done.” Kant then explains that a contradiction arises once I view this maxim as a universal rule. Specifically, if such deceit were followed universally, then the whole institution of promising would be undermined and I could not make my promise to begin with. So, on the one hand, I state “I promise such and such” yet, on the other, once universalized the practice of promise keeping itself would be nonexistent. In another example, Kant explains why it is wrong for me to kill myself when misfortunes push me to the point of despair. The maxim of this action is “From self-love I make it my principle to shorten my life if its continuance threatens more evil than it promises pleasure.” But a law of nature of this sort would be contradictory. The self-love principle inclines me to preserve my life, but according to this maxim, it also inclines me to end my life. In a third example, Kant explains why I must develop my talents rather than let them waste away. The maxim of the contrary action might be something like “I will let my talents decay and devote my life to idleness.” Kant concedes that this maxim by itself is not contradictory since in theory everyone could become an idle slug. However, the contradiction emerges when I willfully assert this maxim while at the same time acknowledging my inherent rational obligation to develop my talents. In a final example, Kant explains why it is wrong to be uncharitable. The maxim of this action might be “I will not help someone in need.” Similar to the last example, a contradiction arises when I willfully assert this maxim while at the same time acknowledging my inherent rational obligation to receive charity when I am in need. From these four examples, two different types of contradictions emerge. The first example in particular involves an internal contradiction within the proposed universal rule; the last two involve a contradiction between the proposed universal rule and another inherently rational obligation. The important point, though, is that a particular maxim fails as a universal law of nature if a contradiction arises at some point once a maxim is universalized. The second formulation of the categorical imperative is called the Formula of the End in Itself: “Act in such a way that you always treat humanity, whether in your own person or in the person of any other, never simply as a means, but always at the same time as an end.” In other words, we should not use people as objects, but instead recognize the inherent dignity and value that we all have. It helps to understand Kant’s point if we distinguish between things that have merely instrumental value and things that have inherent value. Some things in life are valuable only as instruments to obtain something else. My car keys, for example, are very valuable to me, and when I lose them, my life grinds to a halt. But my car keys are valuable only as tools that perform a task—namely, the task of starting my car. Even the value of my car itself is mainly instrumental insofar as it allows me to get from one place to another. By contrast, other things in life are inherently valuable, and we appreciate them for what they are, and not for what they enable us to do. Companionship and the enjoyment of music are good examples. We do not think of these as being instruments for any further benefit, but instead appreciate them for what they are in and of themselves. The reason humans have inherent value, according to Kant, is because, unlike animals, we have the ability to rise above our brute instincts and to freely make crucial decisions in shaping our lives and the world around us. Everything else in the world is driven by purely mechanistic forces, but we are different with our ability to make free choices. This freedom of the will is a feature of our human reason, and it confers on us an inherent dignity that is valuable in and of itself. We have a moral responsibility, then, to treat people in ways that reflect their inherent value, and not to reduce people to mere objects of instrumental value. So, when I treat someone as an end, I respect her inherent value; and when I treat someone as a means, I see her as having only instrumental value. Kant explains that there is both a negative and positive component to this formula. The negative component is that we should avoid treating people as a mere means. But this tells us only to abstain from using people as instruments, which is a bare minimum obligation. The positive component is that we should undertake to treat people as an end in themselves. This tells us to actively assist or support others in retaining their dignity. It is not enough simply to avoid abusing people; we must go a step further and help them, especially when misfortune strikes them. Kant again illustrates this formula with the same four examples that we considered earlier. If I make a deceitful promise to you with the intention of acquiring financial gain, then I’m treating you as a thing or instrument and not recognizing your inherent value. If I commit suicide, then I am using myself as a means to attain a tolerable state of affairs until the point that I’m actually dead. If I let my talents decline, then I am not acknowledging my inherent worth as a rational person who shapes the world through my decisions; I’m not treating myself as an end. And if I fail to help people in need, then I am not helping them maintain their dignity; I’m failing to treat them as an end. The first two examples illustrate the negative obligation to avoid treating people as a means, and the last two illustrate the positive obligation to undertake treating people as an end. Kant’s first two formulations of the categorical imperative are the most famous of the four and he devotes the most attention to these. The remaining two formulations draw from the central points of both the first and second formulations. The third is the formula of autonomy: “So act that your will can regard itself at the same time as making universal law through its maxims.” The focus of this formula is the authority that rests within our human will to productively shape the world around us when following reason. As we act, we should consider whether our intended maxims are worthy of our status as shapers of the world. The fourth formulation is the formula of the kingdom of ends: “So act as if you were through your maxims a law-making member of a kingdom of ends.” The point here is that the moral fate of all people hangs together. We saw that Kant thinks of human beings as ends in themselves, and so, collectively, we are a “kingdom of ends” or, more simply, a moral community. As I act, I should consider whether my actions contribute to or detract from the moral community. Specifically, I should consider whether the intended maxim of my action could productively function as a universal rule in the moral community. Motives behind true moral choices are not those of selfish inclination but instead those of a rational duty conforming to the categorical imperative. The general formula of the categorical imperative has us consider whether the intended maxim of our action would be reasonable as a universal law. Specific formulations of the categorical imperative focus on a particular feature of human rationality, such as the absence of contradiction, free choice, and inherent dignity. Kant was an original thinker not only in the field of ethics but in virtually every area of philosophy. His reputation skyrocketed during the last two decades of his life, and during the nineteenth century his writings were more influential in Europe than those of any other philosopher. Many philosophers adopted his theories and perpetuated a specialized Kantian vocabulary. Others, however, were less happy with Kant’s elaborate philosophical system and picked away at parts of it, including the categorical imperative. 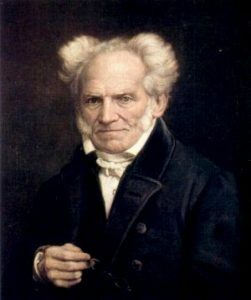 For Schopenhauer, morality begins with my egoistic desire for my own well-being, which I then universalize into a principle that aims at the well-being of everyone. Schopenhauer believes that this is good enough for the purpose of establishing political laws that regulate how we behave as citizens, since political laws mainly limit how much we can encroach on other people’s territory. However, Schopenhauer argues, this is not sufficient for establishing moral obligations that go beyond the bare minimum obligations that we find in legal codes. For example, morality may require that we more aggressively help others in need, and egoism is inadequate for that task. For this we need sympathy. How might we defend Kant from Schopenhauer’s charge of egoism? For the sake of argument, let’s suppose that Schopenhauer is correct that either something like sympathy or something like egoism must be the driving force behind our consideration of the universal implications of our actions. Even though Kant rejects a specific notion of sympathy—that is, sympathy as a feeling toward particular people—he still believes that there is a humanitarian emphasis within human reason. Although reason cannot directly instruct me to sympathize with this or that person, it does instruct me to sympathize with the whole race of humans. This more generalized notion of sympathy emerges in the Formula of the End in Itself, which tells us to respect the inherent value of all people. We’ve seen that this formula includes the positive mandate to treat people as ends in themselves by helping them when in need. This goes beyond the purely negative mandate to avoid treating people as a means or using them as an instrument. This reflects Schopenhauer’s precise point that there is more to morality than simply not encroaching on other people’s territory. The solution, then, to Schopenhauer’s egoistic spin on the categorical imperative is to accept a more generalized notion of sympathy toward humanity. What can we say in defense of Kant? First, it is important to recognize that, with any moral principle, there will be a gap between how it appears as an abstract statement, and how we apply it in concrete situations. Take a basic abstract moral principle like “do not harm others”. The challenge here is determining what counts as harm, and how serious that harm must be before it becomes morally wrong. Suppose that my hands are dirty, and I shake hands with you. You do not want the grime that’s just been transferred onto your hands and have to wash them off, taking up one minute of your life and costing you one cent in hand soap. Does the harm here rise to the level of immorality? Probably not, but somehow we must decide whether the abstract principle “do not harm others” applies in this particular case. Applying Kant’s Categorical Imperative in concrete situations may also be challenging, but this is a challenge that is built into the application of any general moral principle. Second, Kant provides enough examples to demonstrate how we apply the categorical imperative in concrete situations, particularly using the litmus test of detecting a contradiction. The example of deceitful promises is a perfect illustration of how an immoral maxim may produce an internal contradiction when universalized. If we universally allow deceitful promises, this means that we may (1) keep our word and (2) not keep our word at the same time. This is as explicit a contradiction as one can get. Other immoral maxims do not lead to explicit internal contradictions like this, and, instead, Kant tries to show how they lead to external contradictions. We’ve seen that external contradictions occur between (1) the proposed universal rule and (2) another inherent rational obligation. For example, it is wrong to waste my talents since it is contrary to my inherent rational obligation to develop my talents. It is wrong to deny charity to others since it is contrary to my inherent rational wish to receive charity when I am in need. For most other immoral actions that Kant does not specifically illustrate, it is easiest to see these as involving external contradictions as well. Stealing is wrong, perhaps, because it is contrary to our rational obligation to live in peace with our neighbors. Murder is wrong, perhaps, because it is contrary to our rational obligation to respect the lives of others. This applies equally to Hegel’s example of genocide and omnicide, since these are contrary to our rational obligation to respect human life. With Hegel’s other example, that of prohibiting private property, this is contrary to our rational duty to take care of our minds and bodies. Such care of ourselves requires that we have at least some private property, just as, for example, a bird claims some type of ownership of its nest. 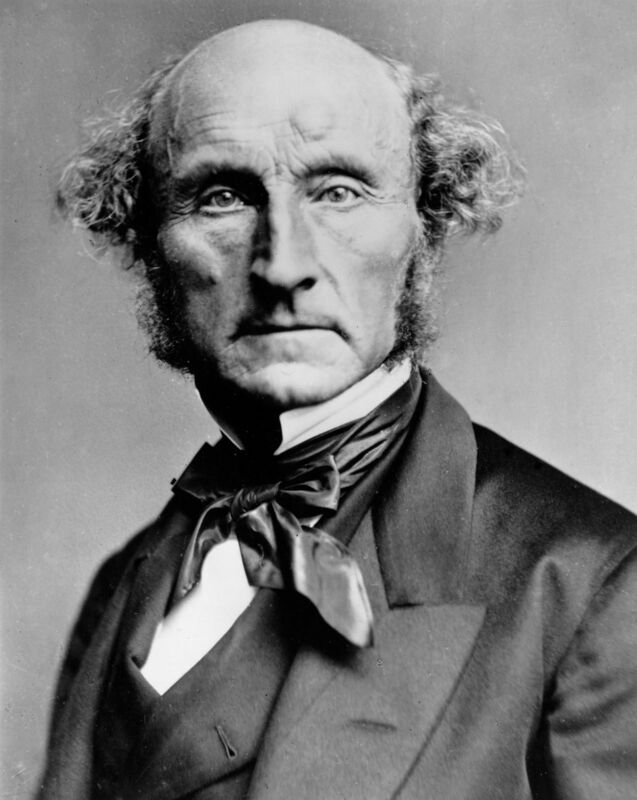 British philosopher John Stuart Mill (1806–1873) developed a view of morality that was about as contrary to Kant’s theory as one could imagine. Kant believed that our moral duties spring immediately from human reason, without any consideration of the tangible effects of our actions on our personal happiness. For Kant, the categorical imperative is a method of directly accessing the commands of our reason, independent of other considerations. By contrast, Mill believed that our moral obligations spring only from considerations of how our actions affect human happiness. Mill proposes his own principle of morality, which he calls the “utilitarian principle”: “Actions are right in proportion as they tend to promote happiness; wrong as they tend to produce the reverse of happiness.” According to this principle, we look at the consequences of our actions and assess whether they bring about more happiness than unhappiness. Although Mill cites the general formula of the categorical imperative in the above quote, he directs his attack against the Formula of the Law of Nature, which tells us that an action is wrong if a contradiction arises when universalizing the intended maxim. According to Mill, the categorical imperative fails to reveal any such contradiction, and the only thing it does reveal is that the consequences of universalizing a maxim involve more unhappiness than happiness. Part of Mill’s criticism sounds much like Hegel’s: the categorical imperative fails as a moral litmus test since contradictions do not arise when universalizing immoral actions. 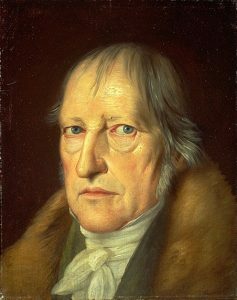 We’ve already seen how Kant can overcome Hegel’s objection. But there is a second part to Mill’s criticism that is potentially fatal to Kant’s theory: universalization is not about rational conflicts, it’s about envisioning good or bad consequences. Suppose I tell you that I’m going to cheat on my taxes, and in response you say “what if everyone did that?” My natural inclination to your question is to envision the disastrous effects this would have on the country, and then hopefully conclude that I should have nothing to do with that. Kant, though, is telling me that I’m looking at the issue of universalization improperly. I should ignore the harmful consequences of universalized tax evasion, and, instead, hunt for a contradiction, either internal or external. But this is a tough task to accomplish. It requires a college course in ethics to understand what it means for universalized maxims to be “contradictory”, and Kant’s examples of exposing contradictions are not obvious. Thus, Kant’s conception of universalization is unnatural, difficult to grasp, and probably impossible to follow in real life situations. Although Kant thinks that universalization merely involves looking for the presence of a contradiction, according to Mill we are actually envisioning the unpleasant effects of a universalized rule. How might Kant respond to Mill’s criticism? The short answer is that Kant is in fact trying to rescue the moral principle of universalization from the distorted ways that consequentialists like Mill have been using it. Kant would probably agree that universalized tax evasion would have bad effects on society. That is just a natural side effect of widespread deceit. What Kant is saying, though, is that harmful effects do not make actions immoral. There is something inherently wrong with the actions themselves because they conflict with our rational intuitions about moral duty. We must reject the whole tendency to link morality with consequences. If universalization is only about envisioning consequences, then universalization must be rejected as a moral guideline. But Kant is trying to salvage our common tendency to connect universalization and morality when we ask the question “what if everyone did that?” Yes, Kant’s view of universalization is a bit odd, but it’s better than rejecting the entire conception of universalization because of its faulty connection with consequences. Universalization still can be an important moral litmus test, in spite of its tainted consequentialist history. In a famous essay entitled “Modern Moral Philosophy” (1958), contemporary British philosopher Elizabeth Anscombe criticizes virtually the entire lineup of traditional moral philosophers. With regard to Kant, she argues that Kant’s “rule about universalizable maxims is useless without stipulations as to what shall count as a relevant description of an action with a view to constructing a maxim about it.” That is, for any action I pick, I could devise a wide variety of maxims that might represent my action. But how do I know which one is the correct maxim? To illustrate Anscombe’s criticism, we will use a rather grotesque example that Kant himself discusses. Suppose I yank out one of my healthy teeth and sell it to a dentist, who will then insert it into someone else’s mouth. We would expect any adequate moral theory to condemn this action. So, if Kant is correct, universalizing this action should generate a contradiction. But what is the maxim of my action here? It might be that “I should pull out my tooth and sell it to a dentist,” or that “I should extract a healthy part of my body and sell it,” or that “I should pull out my right upper molar and sell it to a dentist by the name of John Smith.” Each of these maxims has entirely different implications, and if I cannot figure out exactly which maxim represents my action, then I cannot test the action by universalizing it. So, Kant’s categorical imperative fails to give us the guidance that we need. Although I may not know what my exact intentions are for a given action, I can make a best guess or even consider a few possible intentions just to cover all the bases. With the categorical imperative, then, I may have to devise a few maxims and see what the outcome of each would be when universalized. This adds extra steps to the categorical imperative, but they are steps that realistically reflect our limited knowledge of our intentions. Kant’s categorical imperative continues to hold an important place in moral philosophy today, and his two most lasting contributions are the Formula of the Law of Nature and the Formula of the End in Itself. The one is a unique way of looking at the concept of universalization: formulate a maxim and detect a contradiction with it when universalized. The other is a unique way of grounding morality in the intrinsic value and dignity of people. In this final section, we will look at some stubborn problems with these formulas. 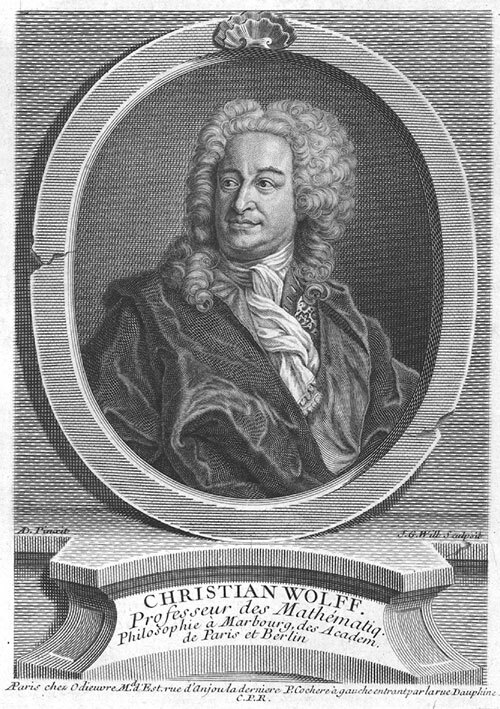 One lingering problem with Kant’s Formula of the Law of Nature is the degree to which it differs from the traditional duty theories of Pufendorf, Wolff and Baumgarten. In spite of Kant’s attempt to depart from traditional duty theory, he may not have moved as far beyond it as he believed. The heart of the problem is that Kant attempts to model all moral judgments after the example of deceitful promises, but it is not a very good model to follow. The illustration of deceitful promises is a very striking one, and it does produce an internal contradiction. If we say as a general rule that we may make deceitful promises, then we logically contradict the concept of promise keeping itself. Specifically, we make a promise and deny the institution of promise keeping at the same time. This is the example that he starts with in the Foundations, and the one that he devotes the most time to. But this seems to be a one-of-a-kind example, and none of Kant’s other illustrations are like this. While the example of suicide is similar, it is much weaker and does not produce a genuine contradiction. The contradiction with the suicide maxim, as Kant explains it, is that the self-love principle inclines me to preserve my life but also inclines me to end my life. This, though, is not a contradiction when the differing inclinations happen at different times. When things are normal, self-love inclines us to live; when we’re in chronic pain at the end stages of cancer, self-love inclines us to put ourselves out of our misery. This is no different than saying that the self-love principle inclines us to eat food when we’re hungry, and not eat food when we’re full. The remaining two examples—wasting one’s talents, and being uncharitable—differ from that of deceitful promises in two important ways. First, the contradictions with these two are not internal but external. For example, wasting one’s talents is wrong since it is contrary to a rational obligation to develop one’s talents. In more traditional terminology, wasting one’s talents is wrong since it is contrary to the duty to develop one’s talents. The contradiction arises only when we presume the existence of an independent duty. In our discussion of Hegel’s criticism, we saw that this is probably the best way to see contradictions with most other immoral actions, such as stealing or murder. The second difference involves universalization. With deceitful promises, an internal contradiction arises only when the act is considered as a universal rule. However, the process of universalization is not needed to detect external conflicts with our rational obligations or “duties.” If I alone fail to develop my talents, then I am still acting contrary to my rational obligation to develop such talents. If I alone kill myself, then I am still acting contrary to my rational obligation to stay alive. There may be other examples like the deceitful promise one that do indeed produce internal contradictions, but a single example alone does not constitute a general moral principle. If Kant himself could not find other examples like this one, then the odds are slim that our luck will be any better. Aside from the one-of-a-kind example of deceitful promises, then, Kant’s Formula of the Law of Nature merely tells us that an action is wrong if it violates a duty. And this is essentially what we find in the traditional duty theories of Pufendorf, Wolff, and Baumgarten. Again, these philosophers held that the laws of nature mandate a specific set of duties to God, self, and others, and that an action is wrong if it violates these specific duties. In short, Kant’s Formula of the Law of Nature at first appears to be a unique way of rationally discovering our moral obligations by exposing a contradiction, but in reality it appears to be the same old duty theory of his predecessors. Except for the unique situation of deceitful promises, the lesson that we learn from the Formula of the Law of Nature is that we must follow our specific moral duties that we know through our natural intuition. This is not at all a bad lesson, but it is by no means a unique one. In fact, Kant’s formulation of the law of nature is a rather cumbersome way of telling us to follow our intuitive duties, and, to that extent, we’d be better off embracing a more intuitive guideline about moral duty from one of Kant’s predecessors. A second lingering problem with the categorical imperative concerns Kant’s belief that the various formulas of it were only different ways of expressing the same underlying conviction. For Kant, the feature that underlies all four of them is that we should be guided by our rational conception of duty. The first formula reflects the fact that rational decisions do not involve contradictions, such as is present in the deceitful promise example. The second involves recognizing the dignity and intrinsic value of all rational human beings when we act. The third involves deciding whether our intended maxims are worthy of our status as rational shapers of the world. The fourth involves deciding whether our maxims productively function as universal rules in the rational moral community. We can almost envision Kant asking himself “what are all the ways that moral duty manifests itself for rational creatures, like human beings?” Let’s just consider the first two formulas, which are the most famous. In a very general way, yes, they are tied together as expressions of humans as rational beings. But, it takes a great stretch of the imagination to see how they have much in common as practical principles that guide our moral conduct. Rejecting contradictions is one thing, and treating people with dignity and intrinsic value is another. The first is the task of a logician, and the second the task of a moral saint. It is misleading to call both of these tasks rational, since it requires defining the word “rational” in an overly broad way. But Kant’s motive in linking together his various formulas may again owe to the influence of his predecessors. Natural law theorists from the time of Aquinas believed that natural law dictates a single highest principle of morality, and all of our duties are unified in that principle. So too with Baumgarten and Wolff. Roughly, for Kant, their highest principle reduces to the mere claim that “we must do good and avoid evil.” This, Kant argues, has no actual substance and simply means that we are morally obliged to be moral. Kant then proposed his categorical imperative to replace the empty principle suggested by Wolff and Baumgarten. To Kant’s way of thinking, everything that we say about our moral obligations must be grounded in a single principle. He then labored to show how the different facets of our moral reasoning tie together in a unified system. Fortunately, today, we do not have to follow the systematic plan of morality laid out by the natural law theorists. It is enough to acknowledge and appreciate Kant’s distinct formulas and their moral implications for how we view ourselves and others. We do not need to continue trying to squeeze those insights into a unified system that flows from a single highest moral principle. Since Kant’s own time, most discussions of the categorical imperative have focused on the Formula of the Law of Nature and the quest for a supposed contradiction. Philosophers who enjoy abstract moral theory are particularly attracted to this one since it presents an alluring conceptual challenge. But the real contribution of Kant’s categorical imperative may rest in his Formula of the End in Itself, which is both a natural and effective way of making moral judgments. This principle tells us that we should always treat people with dignity, recognizing their intrinsic value, and never treat them as mere instruments to manipulate for our own purpose. If we review our various immoral actions, they all seem to involve using people as instruments and not recognizing their intrinsic value. If I commit an act of theft, deception, assault, or murder, I am using my victim as a tool for my own gratification, and I am certainly not respecting that person’s dignity. Returning to our opening example, if we see that morality mandates respect for the intrinsic value and dignity of people, it becomes clear why it was immoral for Pam and Sheila to switch places in their college classes. First, the two students treated their teachers as objects to be manipulated for the student’s advantage. The teachers placed their trust in the two young women, acknowledging their inherent value, and the women returned the favor by taking advantage of the teachers and making a mockery of the teachers’ own inherent value. Further, by tricking their way into a passing grade, the students treated themselves as objects: they failed to acknowledge their own intrinsic value and thereby to develop their talents while fraudulently claiming that they did. This is probably the best explanation anyone could give for why it is wrong to cheat in school. Thus, if we think of moral principles as guidelines for our conduct, then the Formula of the End in Itself seems especially accurate. It also preaches a message about how to become better people: Do not think of people as things that we can manipulate. This reflects the importance of human freedom and our ability to make personal and rational choices in the face of authoritarian attempts to restrict us. To be rational humans means that we make choices that shape our lives and the world around us. We need to respect that feature within all people, and make such respect the cornerstone of morality. Influenced by his predecessors in the natural law tradition, Kant offered the categorical imperative as the supreme principle of morality from which all moral duties emerge. The categorical imperative originates from human reason—as opposed to selfish inclinations—and Kant argued that it can be formulated in different ways, emphasizing different components of human reason. The Formula of the Law of Nature suggests that truly moral actions are those that are free from contradiction when universalized. The Formula of the End in Itself suggests that truly moral actions are those that acknowledge and support a person’s dignity and inherent value. Schopenhauer argued that the categorical imperative is essentially egoistic since Kant rejects the role of sympathetic feelings. In response, Kant emphasized the importance of inherent human value, which is a generalized sympathy. Hegel argued that the categorical imperative has no practical application since it is difficult to detect contradictions within concrete actions. In response, Kant provided clear examples of how contradictions might arise from maxims. Mill argued that the categorical imperative’s conception of universalization is really utilitarianism in disguise. In response, Kant is attempting to rescue the concept of universalization from the tendency to look at consequences. Anscombe criticized the categorical imperative for failing to tell us how to construct maxims. In response, maxims are statements of intention behind an action, which may be difficult to accurately identify. Finally, the Formula of the Law of Nature does not depart much from traditional duty theory, and the true contribution of the categorical imperative is the Formula of the End in Itself, with its emphasis on the intrinsic value and dignity of people.